Long ago I went from 1/1.7" and 1/2.3" point and shoots to MFT. Unfortunately my MFT choice was a relatively featureless early Olympus model which, despite good image quality, was lacking in so many basic features I took for granted (like position sensor/image rotation) that I used it less and less. Then the boom in 1-inch models came. I dabbled with an early Canon model before settling on Panasonic. I have an aging DMC-FZ1000 which is developing issues which leaves me wondering whether a repair is worth it (cost and aggravation). I very much like the zoom range and decent image quality (despite color rendition issues for a JPEG-only shooter). An admitted pixel peeper, I have often looked over the fence at the Sony APS-C models. I had been waiting for a decent travel zoom lens (now being produced in the 18-135 kit lens) and a revamp of the arcane menu system. Well, one for two. Friends who own Sony NEX and alpha cameras tell me the menus "aren't too bad, really" and "you can figure them out if you buy the right book", or that they solution to excessive keypresses is to custom program some buttons as shortcuts. The other potential show stopper is the fact that the body remains a static design and causes problems with things like long lenses casting shadows over the coverage of the built in flash. Then I asked myself how often this would really matter to me.... OK, another compromise. "The Sony a6400 is a well-equipped camera with solid image quality and a great price considering its specs. I was impressed with the real-time tracking AF abilities and focus times, but it’s absolutely far from perfect. While some of the a6400’s new features (like real-time tracking) are especially exciting for a camera of this size and price, its flaws like the screen and menu system are nuisances that make it hard to fall in with. It really feels like Sony has reached the end of the line with what it can do using this camera design. 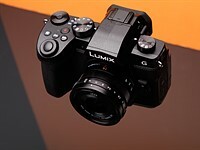 The a6400 has largely the same physical design as the NEX cameras that debuted nearly a decade ago, and it has troubles adapting to larger lenses or new styles of video shooting, such as vlogging. Sony has done a good job updating the technology inside its APS-C cameras, especially the autofocus system, but now it needs to turn its attention to the body and user interface. If it gets those things right, then it might have the ultimate enthusiast-level camera for photography and video." Do people who actually use this camera line day to day, and its menu system, agree that the negatives here could be showstoppers for a potential buyer? Thanks for any insights. Have you actually tried one? Re: Have you actually tried one? Ridiculous. Call it what it is. Re: Ridiculous. Call it what it is. 21 The e-mount has been at for years. Why no 3rd Party Lenses?